Most of the major superheroes out there are lucky enough to have a love interest that is an important part of their mythos. As long as these colorful crimefighters have been around, many of them have had a romantic partner, whether that be a boyfriend/girlfriend or husband/wife, who helps them and is one of the most, if not the most, important person in their life. Sometimes this partnership just extends to keeping the hero’s identity secret, while other times these significant others get to help the hero out in the field. Even the supervillains have chances at love, although these relationships are generally far less healthy. Many of these romantic pairings can be seen in the superhero movies currently dominating the box office, and that will continue in the coming years. Some of the ones we’ll see are obvious: Superman will be with Lois Lane, Tony Stark’s relationship with Pepper Potts will likely continue, Hulk and Black Widow will eventually be reunited, and so on. However, there are also many other romances we’re guessing will be adapted for the big screen. 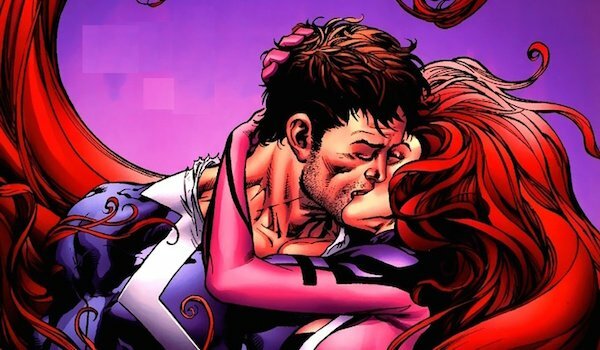 Here are the comic book relationships we could see in Marvel and DC’s upcoming films. Although they didn’t interact much in Avengers: Age of Ultron, you could sense there might be something brewing between Vision and Scarlet Witch by the way the android carried her away from the Sokovian city. While a relationship between an artificial life form and a superpowered human might sound odd to some non-comic book readers, rest assured that, in the comics, these two shared a deep love that ultimately led to them getting married and having kids through magical means. 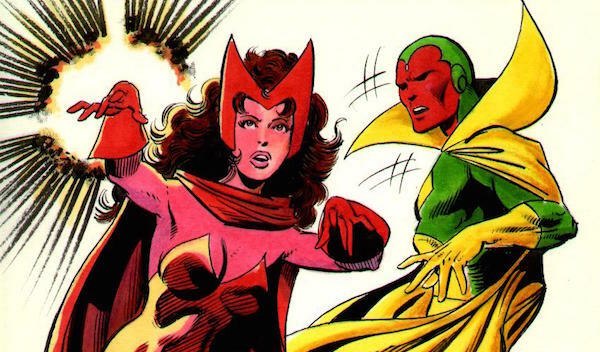 Eventually this relationship came to a tragic end, but in the movies, now that the Vision and Scarlet Witch are Avengers together, maybe something will spark between the two of them. Seeing that they’re supervillains, this is by far the most twisted entry on this relationship list, but hey, even evil, insane love counts as romance. Harleen Quinzel used to be a psychiatrist as Arkham Asylum until she was corrupted by her patient The Joker. She subsequently renamed herself Harley Quinn and became Joker’s accomplice girlfriend, although both roles see her frequently being abused by the Clown Prince of Crime. 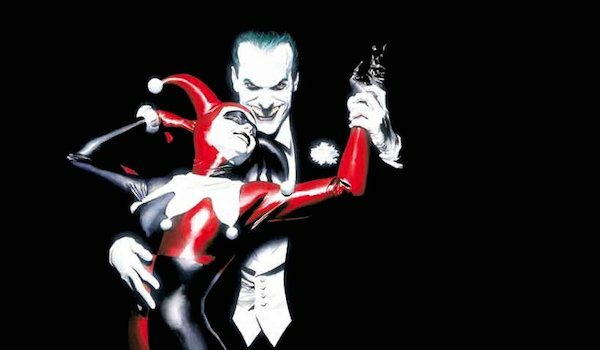 Joker and Harley will be two of the lead characters in Suicide Squad, but it’s unclear how often we will see the two of them together. We also don’t know whether Harley will still be head-over-heels for Joker or if she’s trying to get over him, but knowing her, she’ll find her way back to him the minute he throws a compliment her way. The last time we saw these crazy kids together on the big screen was eight years ago in Spider-Man 3. The Amazing Spider-Man films opted to have Peter be with Gwen Stacy, but that series has been abandoned and replaced with the MCU’s Web-Slinger. It hasn’t been said who Peter’s new love interest will be in this new series, but it might be a good idea to pair him with Mary Jane again for his next outing. Peter and MJ are definitely one of Marvel’s most famous couples, and were even married in the comics for about two decades until Marvel decided to retcon that out of existence. Film-wise, we might see these two build a high school romance when the next Spidey film hits in 2017. 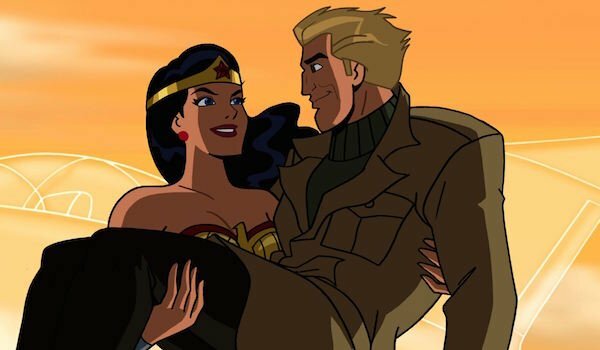 The New 52 aside, Steve Trevor has been Wonder Woman’s primary love interest since she was introduced in the 1940s. In her original origin story, Trevor was a U.S. Army officer who crash-landed on Paradise Island, the home of the Amazons. The Amazonian princess found Trevor and nursed him back to health. They subsequently fell in love and she came back with him to the outside world. Wonder Woman is currently looking for an actor to play Trevor, and Scott Eastwood’s Suicide Squad character was even rumored to be him at one point, though this was later debunked. So while DC and Warner Bros. have yet to confirm it, it’s likely that we’ll see Wonder Woman and Trevor together in the coming years. He’s the half-human/half-Atlantean king of the Seven Seas. She hails from an underwater penal colony located in another dimension that is the enemy of Atlantis. It sounds like a weird matchup, but these two are one of DC Comics’ longest-lasting couples. 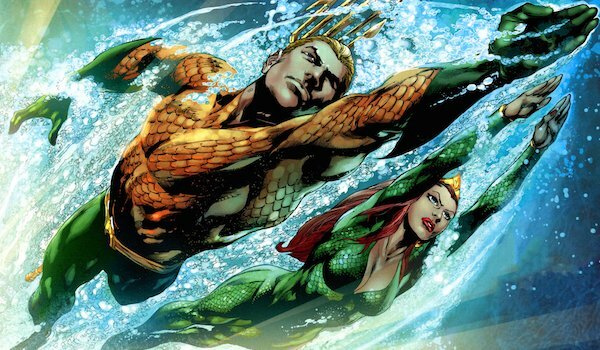 Although Mera was originally sent to kill Aquaman, she wound up falling in love with him, and since then has been by his side as his queen. Yes, they’ve had their share of disagreements and tragic moments, such as when their baby was killed by Black Manta, but for the most part they’ve faced challenges together. Although we’ll be seeing the King of Atlantis in Batman v Superman: Dawn of Justice and Justice League Part One, his solo film doesn’t come out until 2018, so it will probably be awhile until we see the two of them with each other. This developing relationship can currently be seen in live-action on The CW’s The Flash, but since many reports are saying that Ezra Miller will also play the Barry Allen/The Flash in the movies, there's a good chance that we could also get another live-action Iris West. Before the New 52, these two were married for several decades, and even though both of them "died" at separate times, they always found their way back to one another. Presumably the Flash solo movie in 2018 will explore the beginnings of their relationship. 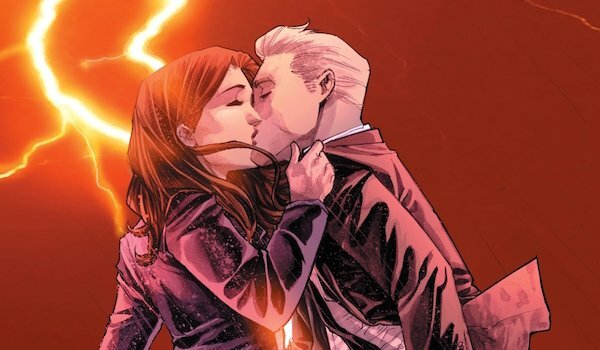 He’s a forensic scientist for the Central City Police Department, she’s a curious news reporter, but their connection will hit as fast as the lightning bolt that gave Barry his powers. 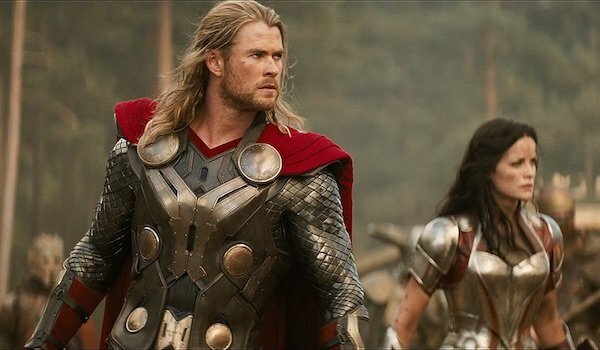 Those of you who have seen Avengers: Age of Ultron know that while Natalie Portman’s Jane Foster didn’t show up in the film, Thor did mention that they were still together. However, that doesn’t mean the relationship will last. It’s been hinted in both Thor films that Sif has feelings for the God of Thunder, and Thor: Ragnarok will see the Asgardians face an apocalyptic force that threatens to wipe them out. Perhaps while facing this danger, Thor may realize that he too has feelings for Sif. The only problem with this is how the relationship with Jane would end, but it would certainly be interesting to finally see Thor finally paired with an Asgardian woman. The Inhumans movie doesn't hit theaters until 2019, so it will be a long time until we hear specific details about the plot. However, it’s a good bet that the movie’s lead characters will be the Inhuman Royal Family, and that includes Black Bolt and Medusa. Together the two of them rule Attilan, the homeland of the Inhumans, as king and queen. Although Black Bolt can’t talk to due his hypersonic voice, Medusa has learned to understand him through body language and their own unique sign language, giving them a one-of-a-kind connection and relationship. Rather than watch the two of them fall in love, hopefully when we’re introduced to these characters, they’ll have already been married for awhile. For the sake of argument, let’s assume that the main Green Lantern in the DC Cinematic Universe will be Hal Jordan. If he’s the one with the ring, then that means that Carol Ferris needs to be thrown into the mix as well. In the comics, their relationship was originally just a working one, him being a Ferris Air test pilot and her being the company’s vice-president. Eventually, however, the two began dating, and while they’ve had many rough patches over the decades, Carol is often considered to be Hal’s greatest love. These two were together in the 2011 Green Lantern movie, but the romantic aspect of their relationship didn’t have much of a chance to develop. Since the Green Lantern reboot doesn’t come out until 2020, the creative minds behind it will have plenty of time to fix what went wrong with these two the first time. This would also be a great chance to pair together as Green Lantern and Star Sapphire. Clea first met Doctor Strange when the Sorcerer Supreme was battling Dormammu, who happened to be her uncle, in the Dark Dimension. She subsequently became Strange’s only ally in this other dimension, and after dealing with several enemies, she came to Earth to live with him. However, this was short-lived as Clea returned to the Dark Dimension to help lead a rebellion against Umar, her mother. Strange and Clea eventually married in the Dark Dimension, and while they remained together for awhile, eventually their different life paths forced them to separate. 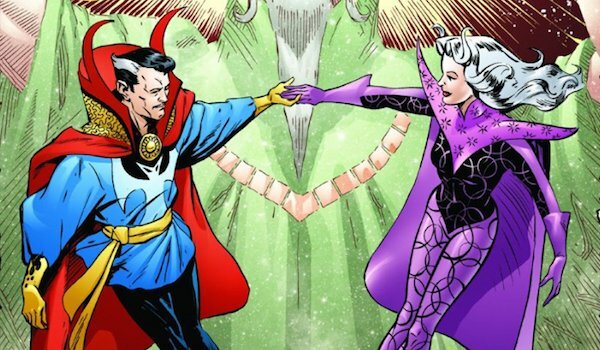 It’s unknown whether the MCU Strange will visit the Dark Dimension during the course of his 2016 adventure, but if he does, it would be great to have him meet Clea and build this relationship.